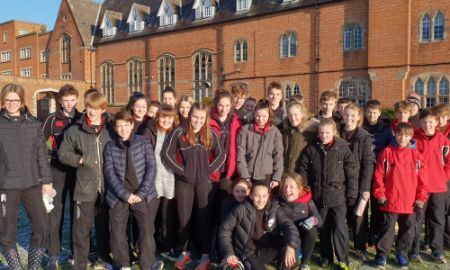 Oakham runners had a successful weekend at the Leicestershire and Rutland County Championship including Form 1 (Year 7) Girls’ and Boys’ teams being crowned County Champions! The Junior and Senior Girls’ teams both finished second place and the Junior and Inter Boys’ teams did well taking third place. The individual results were also exceptional with Oakham having 8 runners in the top 10!